Funny review, I like your style. making him a good flash and a bargain. You have to compare it to its real rivals, Nissin, Sigma, Pentax and more (not to mention Vivitar), they all don’t have high spped sync, while the YN has tops them in ant other aspect offering a high power strobist flash with big TTL and wireless sensor.Only those two plus the price makes it better than the other. Roy , you are welcomed for your comment here! I must say, as I mentioned in the review that the fact that it doesn’t has high speed surprised me very much. Never the less as you said, in its price range he is the best value for the money ,by far. Keep in mind that most people that consider 3rd party units already do some comprimising just by choosing it, so most of them when the flash is on camera will use the camera on auto mode and then most of the times you won’t pass that 1/200th sec limit most of cameras offer (Nikon and some Canon models are 1/250th). You are right about that. This flash is going to my fathers place, he will enjoy it for sure! I just got one of these flashes a couple of weeks ago. It nicely complements my 580EX II – so that I can shoot more complex scenes using multiple strobes. Lack of high-speed synch isn’t a problem for me (yet) – and the YN565EX is had to beat on price. … one issue though, which may send me back to buying Canon. On my flash I seem unable to change the flash group or channel. I can get it into Slave mode okay – but on pressing the ZOOM button again (even quickly), the menu just goes back into mode selection. The group/channel selection options as described in the manual (and as function on my 580EX II) simply don’t appear. I don’t know if this is just a defect with my particular unit – or if I misread the manual (I agree that it’s pretty bad, but I was willing to accept that on the basis that menus are supposedly the same as Canon’s). I’ve sent an enquiry email to both Yongnuo and the Hong Kong dealer that I purchased from. No reply as yet though. Hi Andrew, thanks for your detailed comment. I mus say that I don’t work Master/Slave in groups, I use my flashes only in manual mode. (as far as I know that only in TTL modes, right?). I’ll check tommorow the unit that I have to see if I can solve your issue. Thanks Andy, hope to see you more here. Wow – thanks for your quick reply. After putting the flash aside for a few hours, then coming back, I was able to get the group/channel selection working. Essentially it works as advertised – I may simply have been holding the ZOOM button down a faction too long. With that problem solved, I’m now more than happy with my YN565EX. I’ll see how things go when I start using the flash for real stuff, but so far so good. I’m happy to see that it worked just fine. Hope to hear what you think of it after some working time. You can now upload images to your comments, so interesting images or problems will be wecomed! i think you might consider returning it to the dealer if that’s how bad your copy is. I don’t know Nikon cameras to well to tell about the icons and stuff, but the YN565EX suppose to be a “little” better than the manual strobist guns like the 460 and the 560 , so write a mail to the dealer and ask for some refund Q. The YN565EX that I had worked perfect and is about to return from a tourist trip to Barcelona, there we’ll have another opinion about it. THNX for sharing your experience with it! Didn’t understood what you mean? The Yongnuo YN-565EX works very well with Canon EOS-1D X as well as ATG Canon EOS-1D Mark IV IR,1D Mark IV and 7D IR. I had two mod cameras, ATG Canon EOS-1D Mark IV IR & 7D IR using the ATG AK1 Un-Tethered Systems Kim VIII – darn this work great! If you don’t have the ATG AK1 Un-Tethered Systems Kim VIII, you can try & shoot tethered with 565EX on your camera. Just load up the Canon EOS Utility software for your computer. You can adjust most settings on your camera or pc with 565EX and all settings with 580EX II. 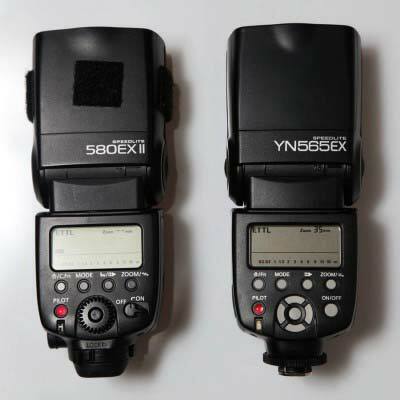 Have you tried using the YN565EX as a slave to the Canon 550EX? Would like to hear/read your thoughts on it. With the 580EXII if worked flawless. I don’t see any difference between the 550 and the 580 as master triggering the 565, so it has to work the same with your 550EX. Thanks Samuel for the quick reply. I’ll give some feedback once I get a YN. I see that you bought it,yes? 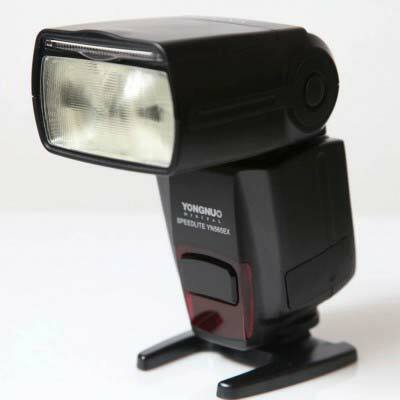 I don’t know wich to buy as a budget TTL flash for my Canon 1100D, the YN468 or the more expensive YN565? Any updates, as far of building and problems? Its only a matter of budget that will make your decision, I don’t know about the 468, but I can tell you that the 565YN as a budget alternative for the big Canon flash guns, is very good value for the money, and by far the best flash that you’ll get for those bucks . The Yongnuo YN-565EX does not look exactly like Canon 580EX. That’s like saying the VW looks like a Porsche because it has 4 black tires with 2 side mirrors. 565EX has better metal hotshoe than 580EX II. Would you prefer the flash & camera hotshoe break or just the flash? 565EX has audio tone sound which Canon/Nikon do not have. Why do you think advanced to pros are using ATG Nissin MG8K and Quantum QFlash Flashes? Ever park your flash somewhere you can not see nor get access to? 565EX can do what Canon 600EX-RT and Nikon SB-910 can not do…full wireless ir ETTL II or ITTL & non/pre flashes. That’s 4 wireless flash modes! 565EX has PC Sync & HV Ports which the Canon 430EX/430EX II and Nikon SB-600/700 do not have. They can’t even do strobes. 565EX has PC Sync Port while Canon 430EX/430EX II/550EX/580EX and Nikon SB-600/700 do not. 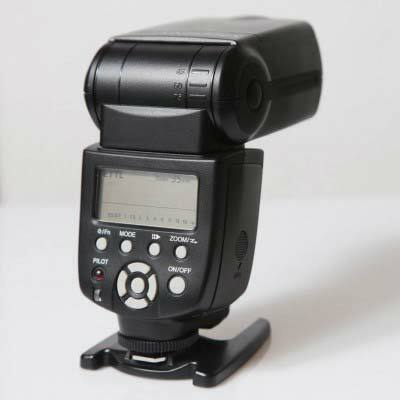 565EX can do 1/8000 wireless flash sync once a hss flash has been modified by ATG. Better bang for the money is go with Yongnuo 565EX. I’ve been using it on ATG Canon EOS-1D X, ATG Canon EOS-1D Mark IV and ATG Canon EOS-7D IR and Canon EOS-5D Mark II. This flash works on my Hasselblad H4D without any problem. And this is an APS MDSLR camera. Many people wanted everything but they are not willing to pay for it. I have used it with the ATG AK1 Un-Tethered Systems with the Yongnuo 500 Series without any problem for years. Build quality on these is excellent, alevel above previous YN units, seems they improve their quality every generation. Agree with others about the non lever hotshoe , however I normally don’t use them on the camera. Cycle times much the same, power output a little under the 580EXII, but very consistent (important for macro stacking shots). Also note, there are different settings for sounds – very useful for interior shooting to supply audible feedback to confirm firing. Also the wake up capability via remote triggers is very handy. I would recommend these to anyone who needs multiple flash units, especially anyone who already has a 580 and needs to add some extra flashes. thank you for your reply, that was fast! I using them mostly for portraits and fun. I’m using triggers and not much the 580 as master, but when I do so, I love to have some more guns in my arsenal. How about showing some of your macro work? Just opened the box and attached my new 565 to my canon t3i. Af assist beam is not working and I can’t figure out what is wrong. Tried changing focus point, changed af mode to one shot, but still no luck. Can you help me out? I worked it just fine with a 600D. It has to work, the only thing I can think about is the focusing point, but I understand that’s not the issue here. For the people in the know out there, I have a Canon 5d Mark iii and need a flash for it. I can go for top dollar top flash in the Canon 600ex, or budget yongnuo YN 565ex. As a novice, what do you suggest? I’d say that if you made all the way to the Canon 5dmkiii, go for the canon 600 here. As for money comparing to the 580, they both worked well for me, but when I go and shoot events I have the 580 on my camera and the YN-565EX somewhere else as a slave. Thank you for your reply Samuel. I’m still not sure if paying 3 times as much for the Canon 600 is really worth it for me as a beginner and whether I wouldn’t have all the functions I need with the yn 565 ex? My advise (and this is only my opinion) is if you got the green notes go for the original, if not consider the other , in this case the YN. The other thing is its reputation for long lasting and this kind of claims. I didn’t hear it about the canon, only after massive use. but as it has Canon wireless infra communication, I thought it would keep the HSS capabilities in the wireless mode too, but it doesn’t (apparently only Canon units can do it) . For your kind of use , the yn565 will be good value for money. Hi Ryo, Thanks for visiting here. If you want to turn off the sound, youl’d have to do it throught the Fn. menu. 1.Long push on the Fn. (Costum Functions)button. 2.Press the Up/Down buttons until you get the Sound option on your screen (number 14). 3.Press the Right/Left buttons to turn it on/off. I think that the 565EX will do the job well. I wouldn’t get the 430EX as a main flash, although my first option will be the 580. The 580 is my main on camera flash for about 4 years now, and never gave me troubles. As for E-TTL accuracy, I can say that the YN565EX if pretty much the same as the 580 I have. *Get the 565EX if your are a going to use it for semi pro use. *Get the 580EX if you are going to be a pro user. How many weddings you are going to shoot in a year? Just a quick question, will the Yongnuo flash be triggered by the built-in wireless transmitter by the canon 600D? Hi, I don’t really know the Canon 600D, but as far as I see from its specs and reading some on the net, if it can trigger a Canon 430 and all the wireless Canon flash units, it should do it with the YN-565EX. 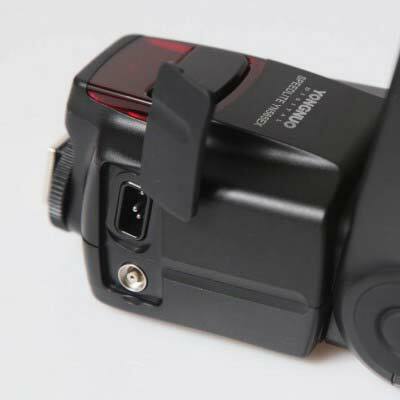 But the thing is that the commander is via its pop up flash, so I’m not sure how much it is similar to the wireless triggering system that the 580 and 550 units use. so I think your 600D will trigger the YN565EX. Thanks Samuel. I have read a lil bit too and yeah I think the 600D will fire the YN565ex using the pop-up flash..
HHH, James, you are welcomed!!! I’d be happy if let us know if got a flash and tested it’s wireless compability with the 600D. hhh, I Canon guy, never heard that the Nikon has better ISO performance, for the same generation camera. Hehehehe.. It all boils down to me (ofcourse ) hehe.. I guess what will let me determine here is my budget. Hehehe..
Hello sorry for my English. after reading this (565EX can do 1/8000 flash wireless flash sync hss eleven has been modified by ATG) I have not clear whether the former has 565 yonguo sync to 1/8000. My camera is canon eos 40 D and I have a transmitter and two receivers that synchronize king pixel to 1/8000 and let me know if I can use the 565 ex yongnuo at that speed 1/8000 to buy two flash units yongnuo. Tnx for visiting my site! I’m actually not sure the YN565 can do this HSS sync, didn’t try it and I don’t have the pixel triggers. In case you test this at 1/8000, I’d be happy if you share it with my readers! Hi, I don’t use a battery pack,but as far as I know the battery the works for the 580EX will work with the YN565EX and YN560II. Just make sure you get the SF18C (c-Canon). I don’t know how long , I can only say about mine. Mine works from day one till now, did some weddings with it as off camera flash, and used it for my indoors family photos when I need something handy. Looks good, and works great. Its a great budget TTL flash. I am a wedding photographer and I have one 580exII I use with a promaster 7500edf backup. This looks like it would blow the promaster out of the water. What did you mean by it isn’t mean for a wedding photographer 2000 flashes a night..is it not sturdy enough? but only as a slave gun, generally at 1/8th of its full power, never did problems or over heated and so on. I don’t use ETTL ever (even wit the on camera flash) so I can’t tell about it to much, I can only say that while testing and comparing the ETTL ability and the IR triggering with the 580II, it seemed to be getting the same results. and flashes as TTL mode as well as M/Multi mode. You can click one of the Ebay banners on my site if you are going to buy a YN565EX. If you are working in manual modes, it can be a good Idea to buy 1 YN565 so you can get the ETTL option and some YN560II or even YN460II that will pop in manual modes, but the YN565EX is really a bargain for me. I add hehe a link to the YN565EX Manual, so You can read some if you want. ENjoy and share this post if you found it helpful!!! Thank you for this review it’s very informative. I am a complete beginner when it comes to flashes, and when I purchase one it will be my first. I own a Canon 50d and was looking at the 550EX when I stumbled onto the YN range. I am wanting to start taking potrait photos of my son with the aid of an umbrella and wondered if you think the 565 would be more suited to what im after or go with the canon 550. Hi Gary, thank you for visiting! First of all, as I have the old 550EX you were talking about (in case you didn’t mean the 580EXII).I must say that after I got the 580 about 4 years ago, I couldn’t look at the 550 anymore and just kept it as a backup flash or a slave unit. its much slower than the 580ex /YN565EX my impression. its heavy – and might consider it when coupled with your “light” camera. But, it can be a master flash and has HSS(your flash will be seen at faster speeds than 1/200th). I don’t know if HSS is a feature normal users must have, you might even don’t see it missing if you didn’t know about it. 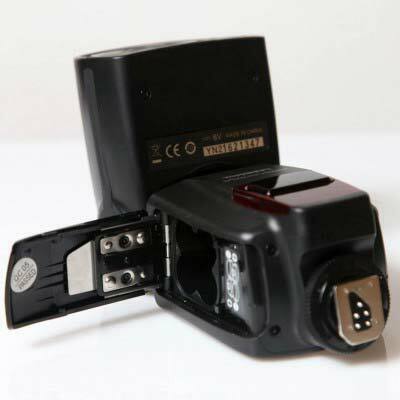 One more important feature with the YN flashes is that they have S1/S2 slave modes – the flash will pop when your on camera flash will pop, that is great as you can start your off camera flash experience immediately. Thank you for your quick response. I was leaning towards the 565EX before your comment, but that has sealed it. Although I have just seen that they have the 568EX out have you had any dealings with this? Is it worth paying the extra for the HSS? Hi Gary, you are welcomed! That’s what makes the YN565EX very popular ! Can you use it in rear curtain flash mode set via the camera. I own a 5D mark III and I want to use it with a radio trigger or sync cord and want to st the camera to rear curtain. As far as know, it can’t . Tried it for a minute with my 5DII+580EX as commander and it didn’t work. Maybe I did something wrong but it didn’t work. unit will be automatically transmitted to the YN565EX. 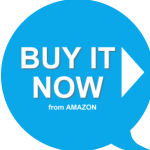 There is a link to download the manual, at the end of the review. Can the YN565EX be trigger as a slave by a 580EX? Hi Miguel, thank you for leaving a comment! Yes the YN565EX can be triggered with Canon’s 580EX IR wireless system. 1. It doesn’t supports HSS (in case you are interested in HSS) and will flash at your camera’s max sync speed -something between 1/160th-1/250th depending on your camera model. 2.In case you are not going to use the YN565EX as on-camera flash and want it as ETTL wireless triggered flash, you might consider the new YN560EX reviewed here. You’ll get some change of a 100$ bill. Hi there- I am a very amateur photographer that wanted to start getting into off camera flash for portraits and artistic shots. I bought the YN565EX about 6 months ago because the price was right. So far, I have been unable to get the flash to fire off camera unless it was being triggered by my on-camera pop up flash. Not what I was hoping for! I know that the manual says that the flash can be trigerred remotely from my Canon 7D but for the life of me I cannot find the right settings- any chance you shoot with this model and can give me some tips? Your flash and camera are fine, the popup flash is the device that triggers the off camera flash (YN565EX) and it won’t matter if that a YN, Canon or other flash units…. RF603 are a great value for the off camera triggers. Hi – Just accidentally found this flash on ebay. It’s very affordable for international student like me (which I have to spend most of my money for food and living). I’m using 7D now and looking for an affordable flash, like YN. Unfortunately, I don’t have any knowledge (not even one bit T^T) about flash. Then, Should I buy YN565EX or YN560 II which is manual? It depends on the use of your flash. But if you are about to use it mainly as an on-camera flash I’d go with a ETTL compatible flash: YN565EX or the less powerful version YN468. Rookie user here too. 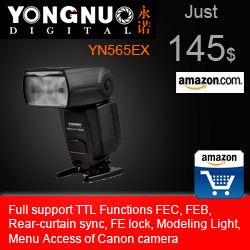 I am trying to find out whether to get the $80 Yongnuo YN-468 II or the $160 565ex. Any thoughts on is it worth going up? It look like they both have the ettl feature. 1.Power – one more stop for the YN565EX means much better recycling times for the same situations. 2.Using – The 565EX is much better in this section. I’d go and buy the YN565EX if it your first flash, you can find it on eBay for about 145$. What do you mean that it is much better ‘using’? it has a much better user interface/buttons. who is a very plastic body, you might be dissapointed. Is it your first flash? in general you get what you pay for,468 has less power and I think this is something to consider. Yes it is the first flash. Using a canon sxi camera. So you are saying the 468 uses a cheap plastic body and the 565 is a better qualty, more power and better buttons, etc. One thing I don’t like is it looks the the 565 is very big compared the the 468. Decisions! It costs so much more but if it is worth it…..
and after reading your ‘about me’ I hope you aren’t in a dangerous area right now! Will pray and hope for the best for you. I have a Canon Sxi (d450) dslr. TNX, No prayimg is needed (to much parying involved in this region `-) ). If you camera is a DSLR (I mistaked it with an other model), go for the 565EX. Hi Moshe, thank you for your review. I’m a newcomer to photography and have a Canon EOS 500D. I’m considering a couple of these flash units and am wondering about triggering them wirelessly. I’m a little confused about what I need to this. Do I simply need a wireless trigger with ETTL facility for the camera ? Will this trigger the two 565’s alone? or do I also need transceivers on the 565’s ? As far as I know , the 500D doesn’t has external flash control (I think this is available only with the 600D and newer). If you want the off camera TTL ability, you’d have to get the YN622 who is the most affordable wireless TTL pass trigger on the market (a pair for about 90$). I’d go with simple manual triggers’ like the YN602 who doesn’t pass TLL, but are an amazing introduction to the off camera flash world. Hi Samuel..i’m beginner in using dslr camera..i own nikon d5100..would like to get flash for indoor family function..will YN 565EX works this cam? Yes the YN565EX will be great for that. You might also consider the YN468 that supports TTL and costs less. i am a complete beginner with flash photography, and i dont want spend that much money to buy nikon sb700.. i can buy 2 of YN565ex for the price of a sb700. just finished watching Zack Arias “OneLight DvD” and looking to buy 1 flash — would this flash be enough/reliable enough just for practicing flash photography indoors and outdoors? and the rest of the money would go towards, light stands, umbrella and tripod( for self portraits ). and what flash would you recommend to a flash photography beginner? right now, im looking at YN565ex, YN568ex, Nissin-Di866 [ i use nikon d7000, and i want to use flash on Full manual. 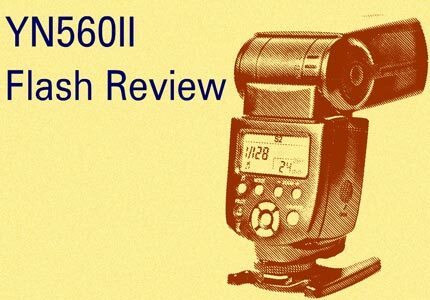 As reviewed here the YN568 is a newer flash therefor I’d like to believe that it has some more durability than the YN565EX who its first units got some negative feedback as per building and problems. If you can spare the extra 40$, I’d go for the YN568EX , but not just because of its extra features (HSS+better monitor) but for the fact that its newer. We are running a monthly photography challenge on this site this month its B&W photo challenge, you might want to enter as there are some strobists stuff for the winner! I think that the YN565EX is probably the best affordable way to start this. As for power and recharging times it is similar to the Canon/Nikon flashfuns. The only diff is about they building quality who is a step lower than the Canon/Nikon flashs. In case you are not about to work them like hell, the YN565 will be awasome. You put the comparison well, just missed the fact that both 568 and 565 can’t be used as a master, the Phottix mitross is about to be avialiable and I guess it will be priced something about 230$, it will be a master flash too. As for the battery pack I don’t feel the need for one.